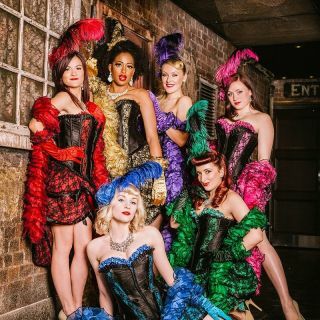 London's leading Burlesque Showgirl troupe offers a fun and cheeky mix of songs, dance, circus and striptease. Book anything from a stunning solo performer to a full Cabaret Revue Show. Lots of themes and costumes available - Gatsby, Moulin Rouge, Vintage Pin Ups and more!